It’s hard to imagine now that Virgin would have struggled with an album of this magnitude (double platinum), but that’s the story that Lenny Kravitz tells in an opening piece for the liner notes. Perhaps even more confusing is the fact that a guitar riff so tied to Kravitz was actually played by writing and production partner Craig Ross and that it was Kravitz and not Cindy Blackman (the perfectly afroed drummer vixen in her own right shown in the music video) on the drum kit for this song. Trivia aside, the song still sounds fresh. The title song was not to be denied, as noted by the fact that it replaced the original album title (“Eleutheria,” also the album’s closing track), hitting #1 on the US Mainstream Rock chart. However, its chart success was not to be the album’s only entries into the world of Billboard. Singles “Believe,” “Heaven Help,” “Is There Any Love In Your Heart” (think a more pop-rock version of Kanye West’s “Golddigger” in theme) and “Spinning Around Over You” also saw time on a number of Billboard’s genre charts. “Believe” was the second most successful, although the B-side from the sessions entitled “Spinning Around Over You” helped to bolster the album’s success given its inclusion on the Reality Bites soundtrack and subsequent entry at #80 on the Hot 100. Rock isn’t the only genre he excels in just as guitar isn’t his only weapon of choice. 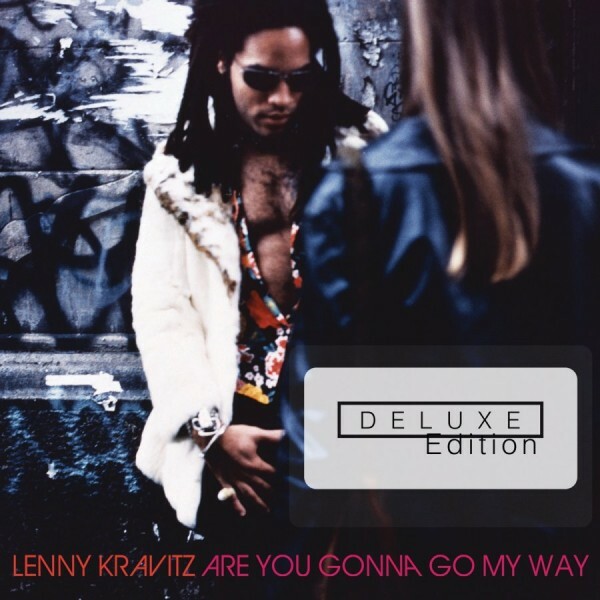 Kravitz dabbled into R&B territory on “Just Be A Woman” and “Sugar” to great results, reggae on “Eleutheria,” blues on “B-Side Blues,” and even into a nice little Brazilian rhythm on “Travelogue (Your Love Has Got A Handle On My Mind),” a demo for which he was working with artist Vanessa Paradis when the Are You Gonna Go My Way album was born. The bonus material – seven b-sides and in-progress demos and instrumentals – show that the artist was firing on all cylinders during this fruitful period. The acoustic versions of “Believe” and “Sister,” which open up the second disc, are fly-on-the-wall affairs. The fidelity is decent but not great as they were recorded on a tape deck, although “Heaven Help” is a studio demo recording and sounds accordingly. None will replace their album counterparts on your playlist, but they give the listener an idea of how the tracks grew, which is the point (and market for) this kind of set. It’s strange that no live disc (video or audio) was added highlighting a concert from the period. After all, he toured the album over the course of a couple years. However, that doesn’t lessen the quality of material presented. Record labels rate a release’s level of success with sales figures, but an anniversary edition allows listeners the opportunity to evaluate artistically as opposed to a strict business sense. To that end, this set works extremely well by collecting a host of B-side material from the period, musical ideas and demos, and even a period interview with the BBC where Kravitz shares his thoughts on being compared to Jimi Hendrix and more, all in addition to adding a ton of photos from the photo shoots and copious session notes (ever important in demo and alternate recording work). Together it creates a well-rounded package that shines as an example of how to create an anniversary release.